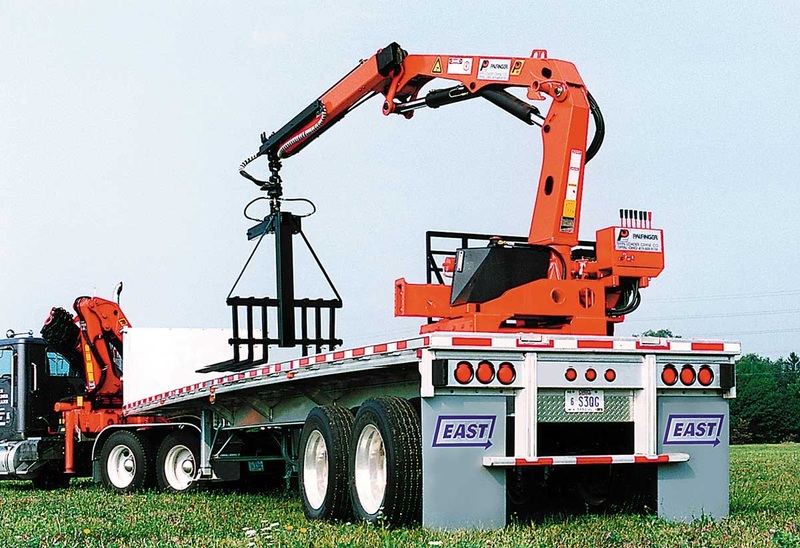 Since East drop deck trailers are custom manufactured, many options are available. 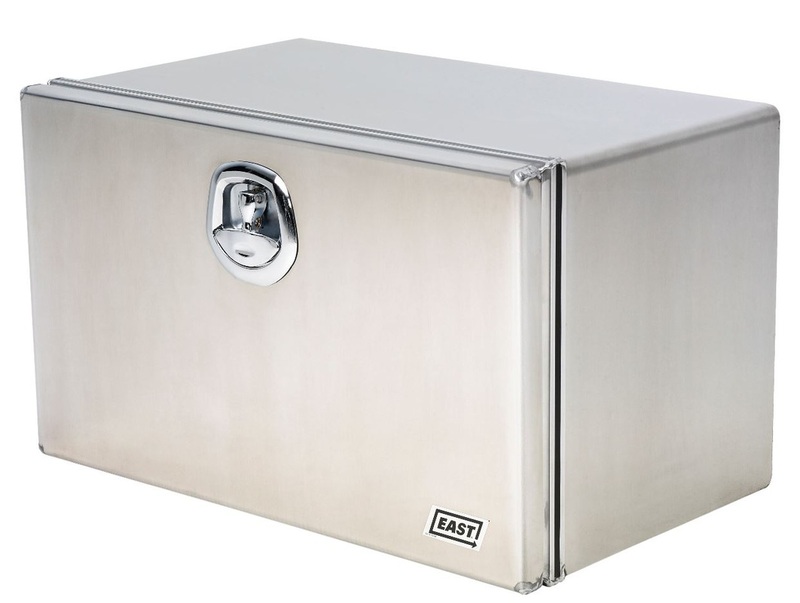 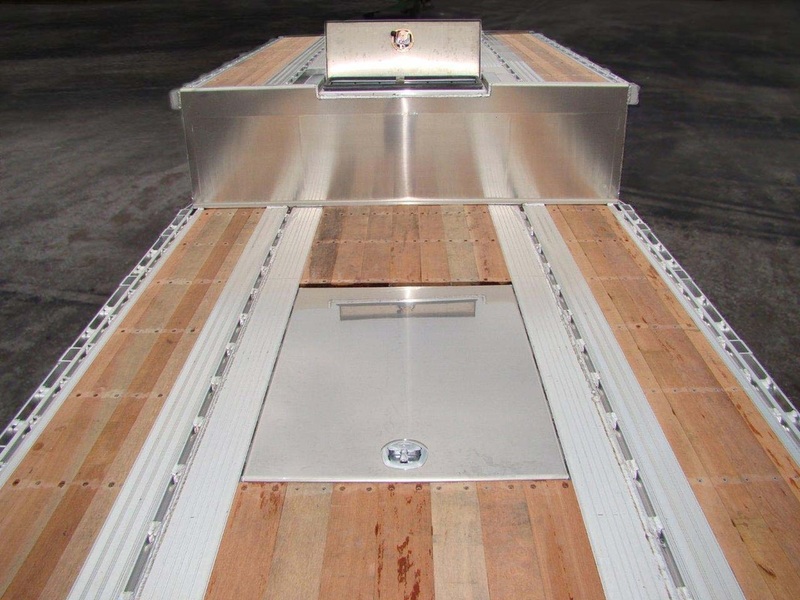 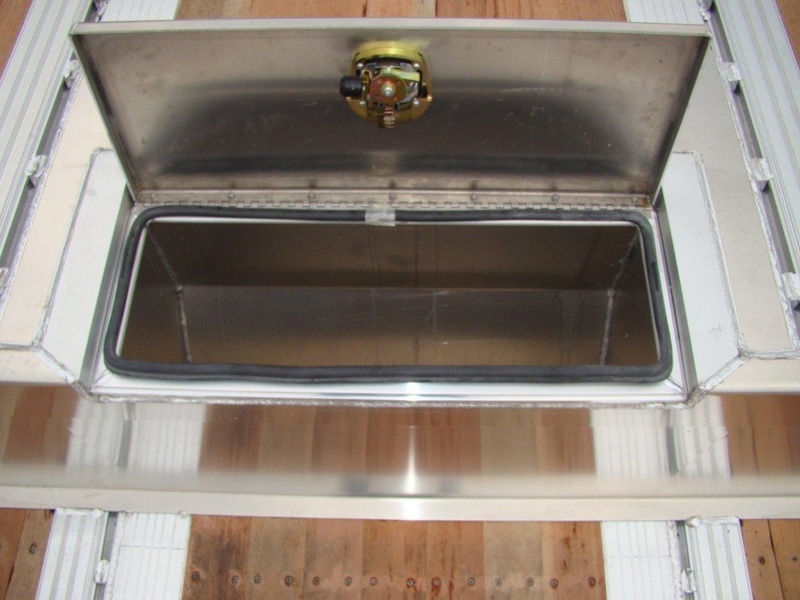 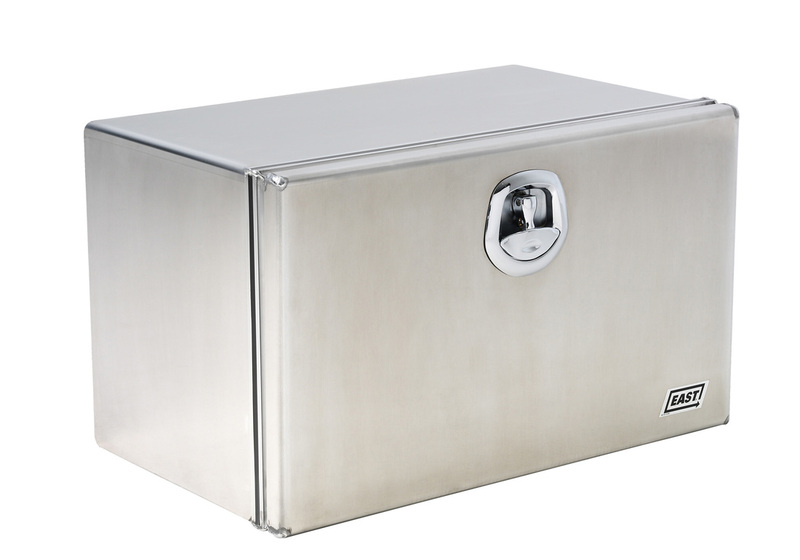 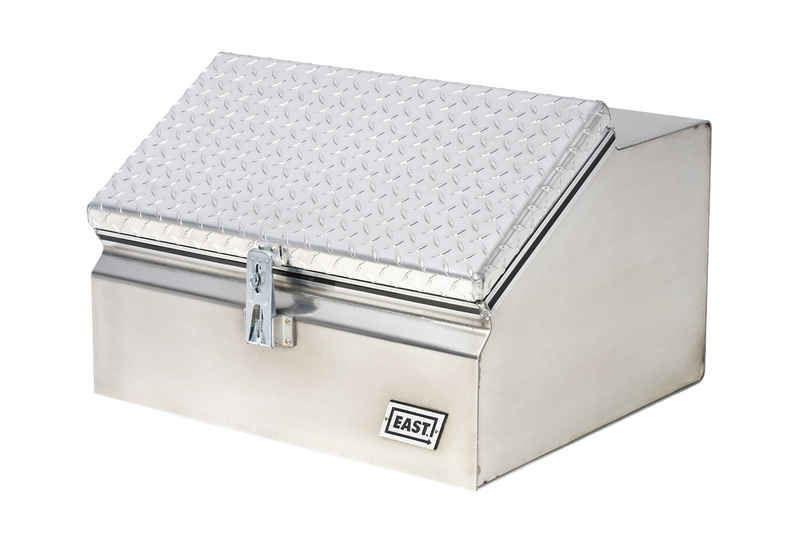 Aluminum built-in tarp storage compartment can be built into the floor of the upper or lower deck. 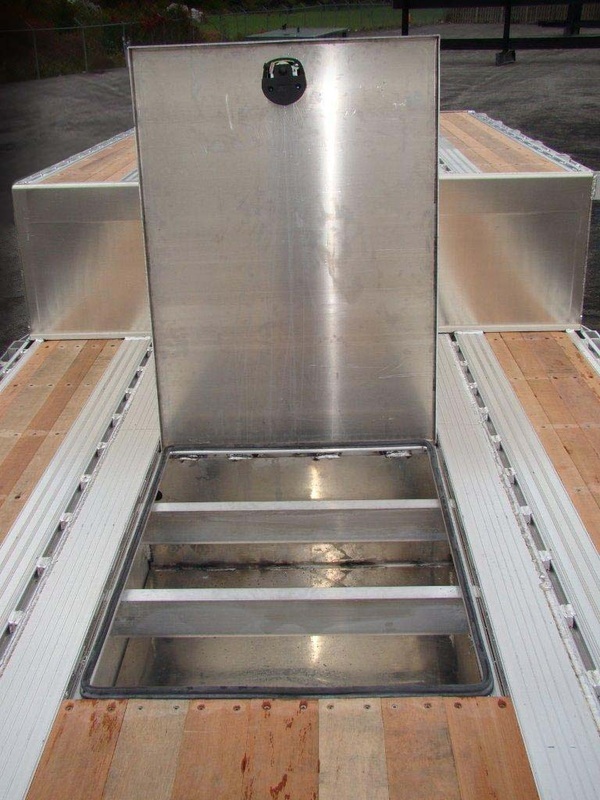 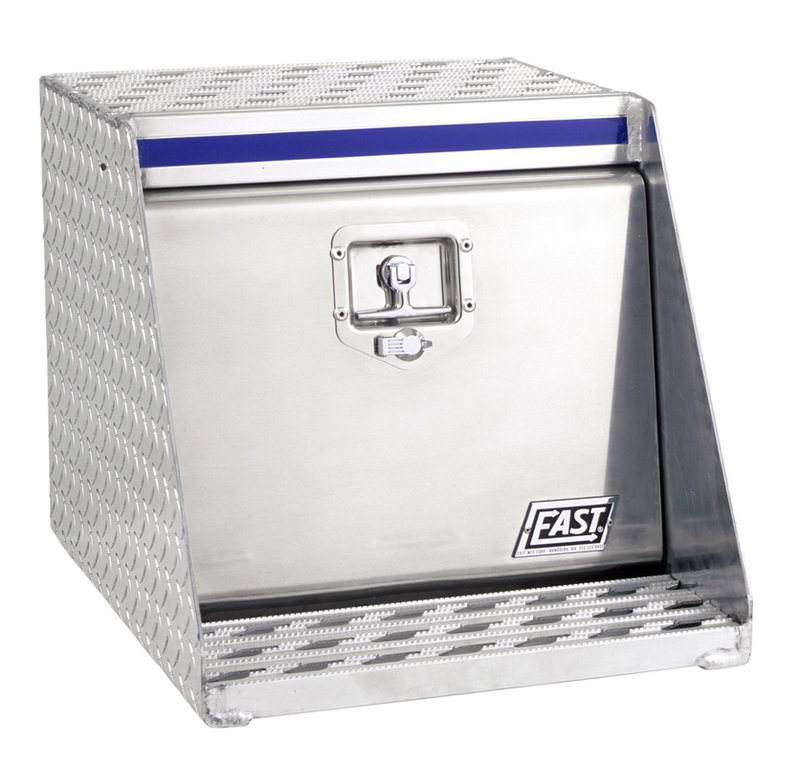 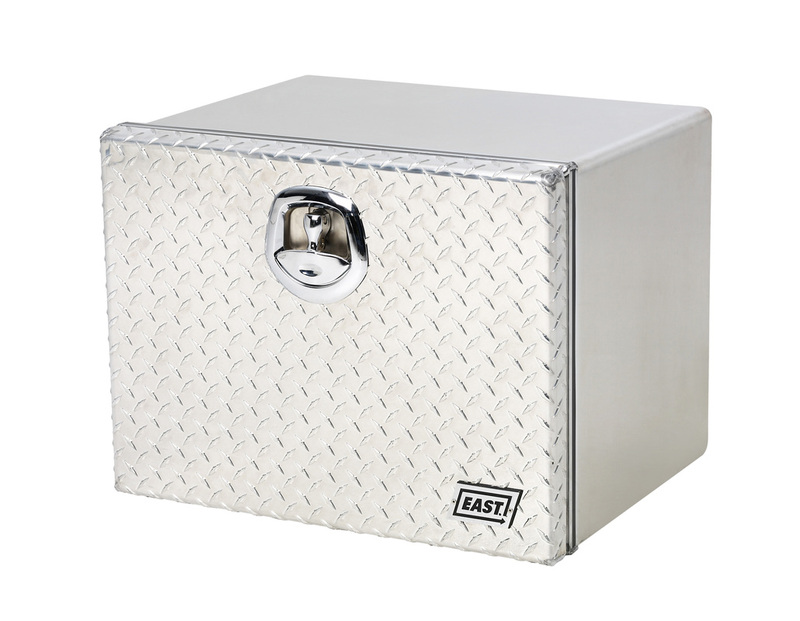 This on-deck access location reduces multiple ups and downs on the trailer (lessening the chance for falls) to tarp the load, or store the tarp and tie-downs, saving time and energy. 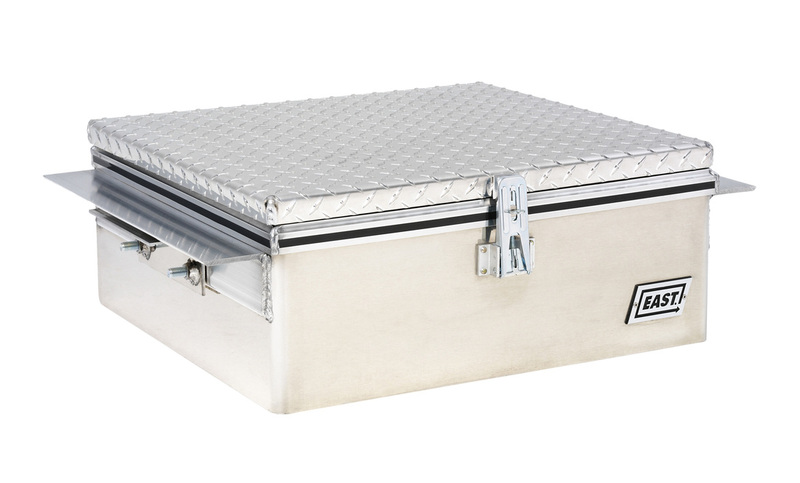 Available in various depth configurations.